Don't miss out on the hot color for 2016-2017, a stunning pink quartz! These frames make great gifts and will add an elegant touch to your event when you use them to display your table numbers. 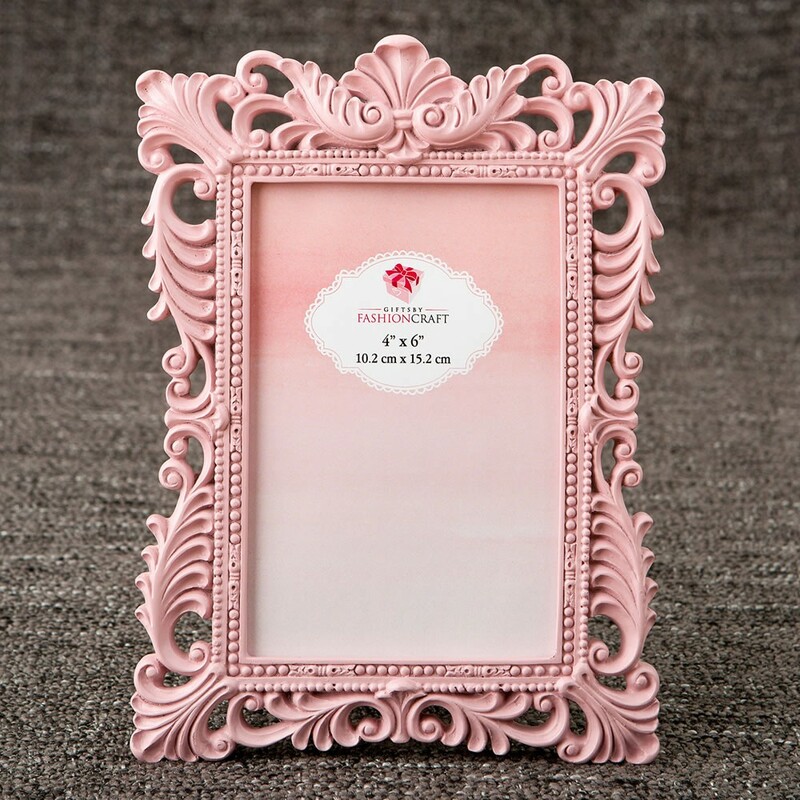 Showcase your treasured photo in this beautiful pink quartz frame. 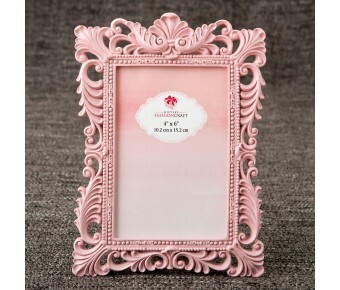 The eye-catching Baroque style frame features an ornamental intricately sculptured design of swirls and twirls. The frame is made from poly resin and holds a standard 4" x 6" vertical photo behind a glass front window. The frame has a velvet easel backing which is hinged for easy insertion of the photo. This fabulous design is a modern take on a traditional classic and will thrill your clients with its trendy color! Size is 9" x 6 1/4"
A great gift and perfect for event table numbers in the hot color for 2016-2017!